In New York, winters are always marked by heavy snowfall and storms, and while this white powder can be scenic from indoors, it poses property damage risks as well as personal safety risks. At Dragonetti Brothers Landscaping, we offer a range of prompt, efficient and reliable snow removal services designed to keep your business operations smoothly running and keep your tenants, employees and visitors safe. Our team specializes in snow removal for a wide range of commercial businesses including large and small apartment buildings, property managers, condo associations and local businesses. Our team is fully trained, licensed and insured for careful, timely and effective salt application and snow removal. For our customers' convenience, we even provide free quotes and consultations and emergency response services. For all customers, we provide free consultations to determine your unique snow removal needs and create a list of dependable and prompt solutions available with fair, competitive pricing. While plowing your parking lots, driveways or streets, we will also salt these areas to prevent ice buildup and ensure your safety and those who live in or visit your property. Our team can also work with you to create customized snow removal plans including seasonal contracts and programs based on time. At Dragonetti Brothers Landscaping, we understand how crucial it is to keep piles of snow from accumulating in front of your building or damaging walkways and parking lots, threatening employee and guest safety. Whether you require short-term snow shoveling or more extensive removal using large-scale equipment, the commercial snow removal experts at Dragonetti Brothers Landscaping have you covered. To maintain fast and effective responses for our customers, we closely watch local and national weather forecasts and pre-determine action plans to adapt to the changes in weather or unexpected snowfall. In the event of extreme weather conditions, we have a responsive team of experts available for emergency services, equipped with dependable tools and machinery to quickly remove your snow buildup. When you’re trapped in an excessive amount of snowfall, trust the trained professionals at Dragonetti Brothers Landscaping to quickly and safely remove your snow — allowing safe daily operations, reducing potential property damages and ensuring personal health. We’re a New York-based company, specializing in commercial snow plowing, removal and salt application services throughout Brooklyn, Manhattan and Queens. 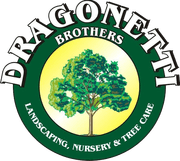 Dragonetti Brothers Landscaping is a family-owned company with over 40 years of experience and our entire team is trained in the best and most efficient practices. Every technician is licensed and insured. We also offer all of our customers free consultations to determine your specific needs and emergency response services. Schedule your free consultation today by filling out our online contact form or calling us at 718-451-1300 to speak to a specialist.